For over 5 decades GH has been a producer and marketer of premium branded food products. We have revitalised Golzar tea, Rice & Cooking oil brands through focused marketing resources and devoted management care and attention. These brands are sold mainly in CIS, Easter Europe and Middle Eastern countries. GH's "Grade one quality control" and resources have enabled these brands to grow. The combination of internal growth and strategic steps has made GH a unique food growth company. GH is a leading producer and marketer of premium branded Tea products. We have revitalised such brands as “Golzar Premium Tea” through focused marketing resources and devoted management care and attention. All our Tea brands comes to you from the highlands of Sri Lanka. We are one of the leading tea producers in Sri Lanka, our Tea brands are of the highest quality. Our brands have been well established in various countries and the time has come for growth. Our Premium Tea brands are sold mainly in Asian, CIS, Easter Europe and the Middle Eastern countries. GH's "Grade one quality control" and resources have enabled our Premium Tea brands to grow. The combination of internal growth and strategic steps has made GH a unique food growth company. 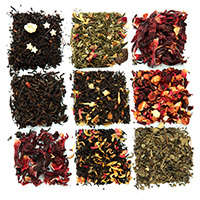 We proudly welcome you to explore our Tea Products. 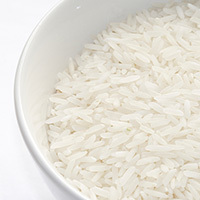 GH's Premium Basmati Rice is commonly known as “Queen of Fragrance” due to its enticing aroma. Our Indian Premium Basmati Rice are used worldwide due to the long grain size, non-sticky after cooking and tempting odor. No other rice in the world has this combined characteristic of exquisite aroma, sweet taste and the post cooking elongation. GH's Golzar Premium range of cooking oils include; Vegetable oils, soybean oil and sunflower oil which can be used for frying, baking and dressing of salads. They are fortified in vitamin A & E, low in saturated fats, cholesterol free, which can help regulate the immune system. It also provides a protective barrier that resists infection of the skin and most importantly a health option for value of your money. 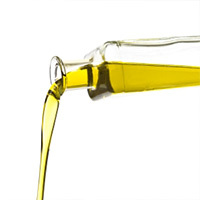 Our oils are also used in food preparation and can be flavoured with aromatic food stuffs such as garlic, chillies etc. has no cholesterol and is fortified with Vitamin A which can help regulate the immune system. Since 1957 we are dealing in the national and international agricultural business, including grains, feedstuffs, vegetable oil and seeds. Based on our long experiance we have deep knowledge of the market. Our particular strength lies in our long-standing connections with both suppliers and consumers and our appreciation of their respective needs.